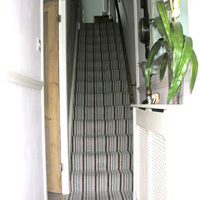 This is an expertly co-ordinated carpet range, Vogue’s greatest beauty lies in the fact that it elevates even the most cautious home improver to the role of interior designer. 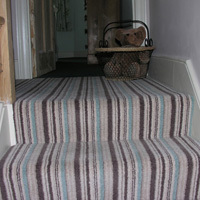 Four different colour palettes evoke a richness and versatility that’s at home almost anywhere. 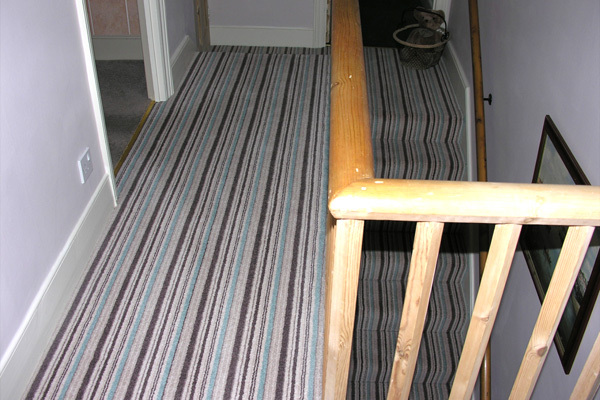 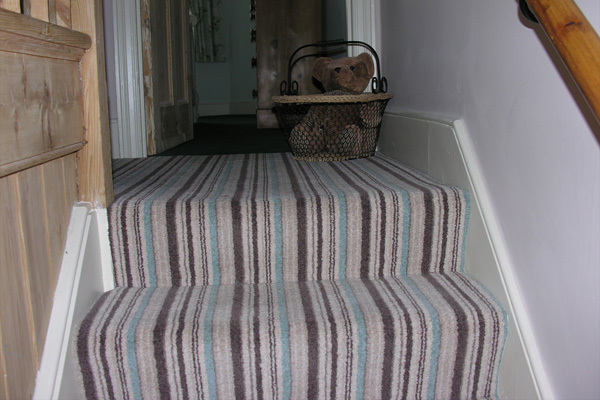 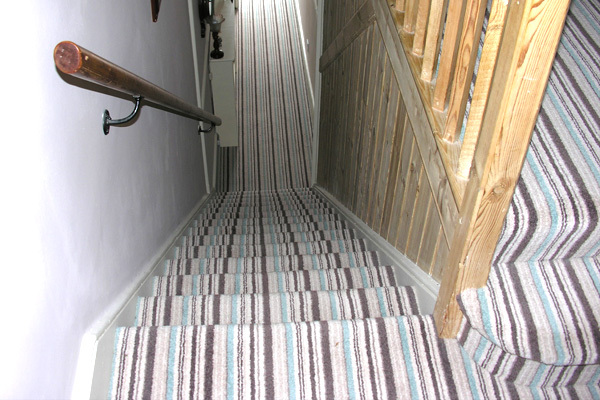 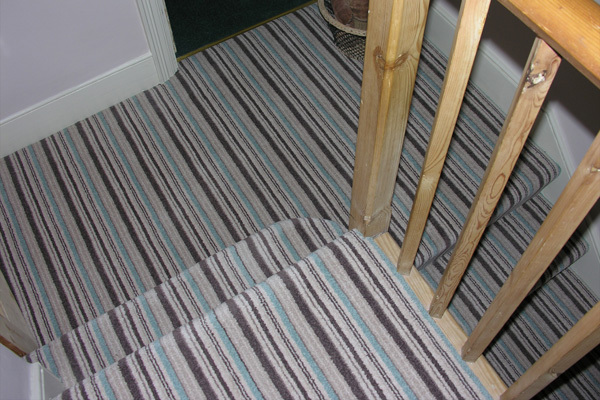 It looks particularly striking in hallways and on stairs where the stripes and plains demonstrate uncompromisingly why they were made for each other. 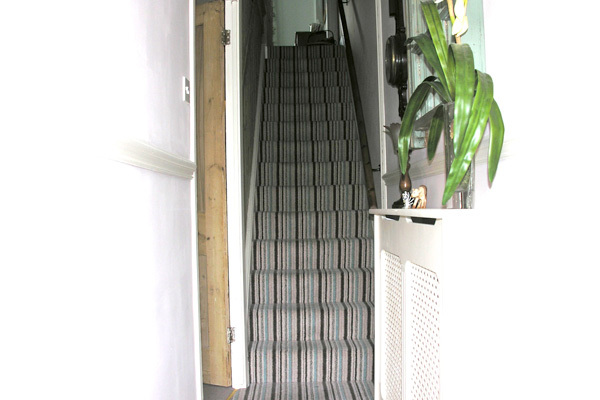 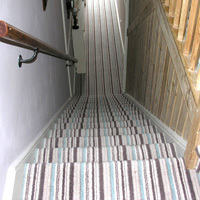 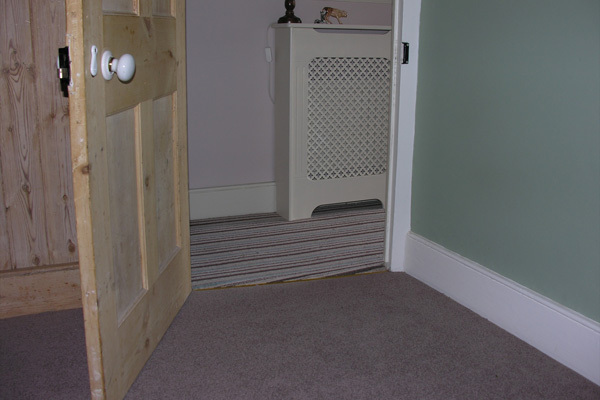 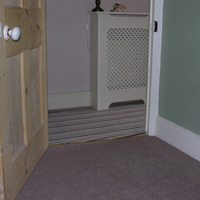 It was fitted to the hall, stairways and landing. 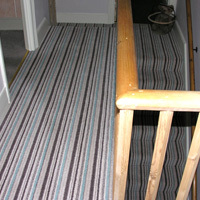 The customer wanted the Brockway Vogue plains in the lounge to soften the look. 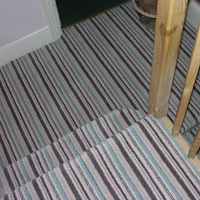 A 9mm high density underlay was fitted underneath to give extra comfort under foot.